Since taking over the Corso exhaust business we have been busy making improvements. We decided to first take on the 1936-40 Harley Davidson Big Twin systems. Correction #1 was the knuckle head rear exhaust pipe, 65493-36. For some time the incorrect radius die was being used creating a "Z" rear pipe. We used the correct 6" radius die and now have a great fitting pipe. Correction #2, 1936-40 UL and EL combination muffler, 1001-36 or 65201-37. 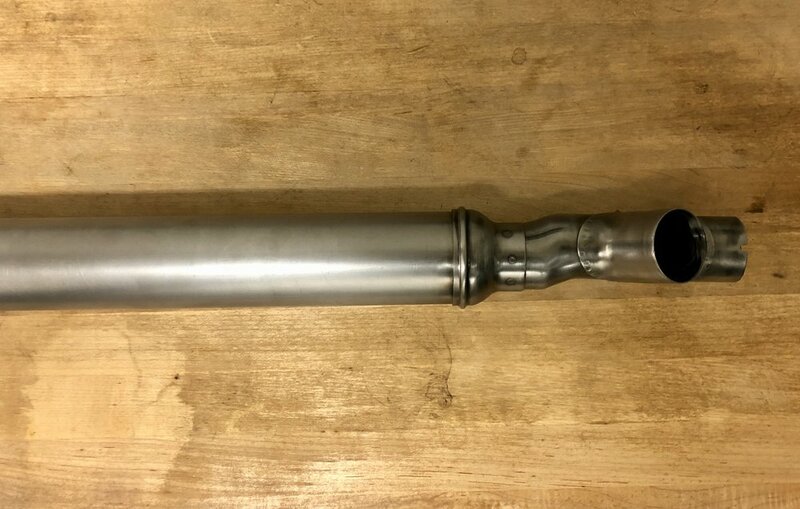 We were able to borrow an original inlet "Y" pipe and made tooling to replicate the exact offset. We also are lucky enough to live in the land of old timey manufacturing and had our good friends at the Spinning shop, spin up replica's of the Burgess style end rings. We then rolled the bodies from 22 gauge sheet and formed the overlapping seam. We also stamped the patent number in, with the stamp we inherited from Mr. Skip Piper. The tail fin has been adjusted for length and angle of the cut and the proper butted seam weld. 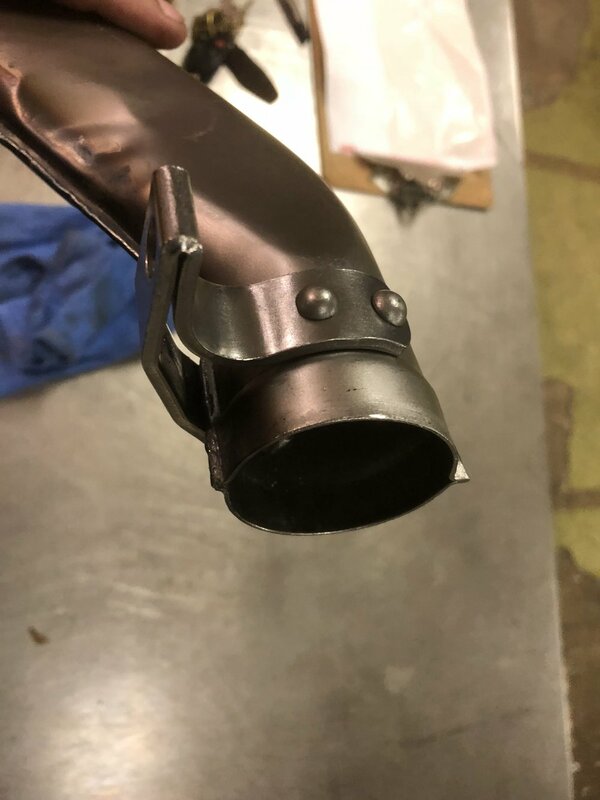 The entire muffler is spot welded including the saddle, this is the only muffler available with a spot welded saddle like original. So we decided to do it the way Harley did! Our "S" pipe brackets are now riveted in place! This allows for more efficient manufacturing and ensures the bracket is in the same location every time. Both Dennis (Corso) and Bruce (Linsday) are checking in on all of the progress we are making and are very pleased. We are very lucky to have these guys down the road whenever we need an original photo, opinion, or beer. I think the Blog will be our most effective way of getting updates to all of you, so stay tuned and I will try to update every week or so.